Linux is a multi-user operating system. This means that in one operating system several user accounts can be created, and that several users can work simultaneously with the operating system. The most typical example of multi-user use of Linux is shared (virtual) hosting. Shared hosting works as follows: each customer of the hosting owns a private folder on the server. 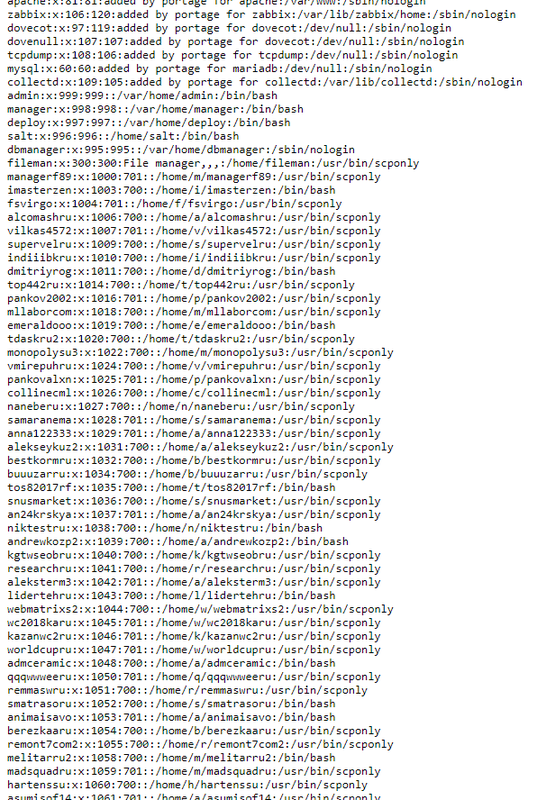 In this folder, a webmaster places his sites - one or several at a time. To these folders, a webmaster has FTP access or access through a file manager with the web interface. Many hosting services now also provide access via SSH (immediately or on request). According to the idea, each webmaster has access only to his folder. Sharing of one computer is very economical and convenient. This approach can be implemented on computers in public places, in organizations, even you at home can set up work in the OS in this way. The only one server (if it is powerful enough) can serve hundreds of customers and host thousands of web sites simultaneously! Maybe security issues are not acute on a home computer (although it is not pleasant if someone ‘look into’ your private folders). Nevertheless, in corporations and shared hosting this is much more important: the ability to ‘look’ into someone else’s folder can mean the disclosure of confidential information, and if someone accessed the folder with web sites, it means compromising: the password leaking, the risk of infection of the web resource by malicious software and etcetera. 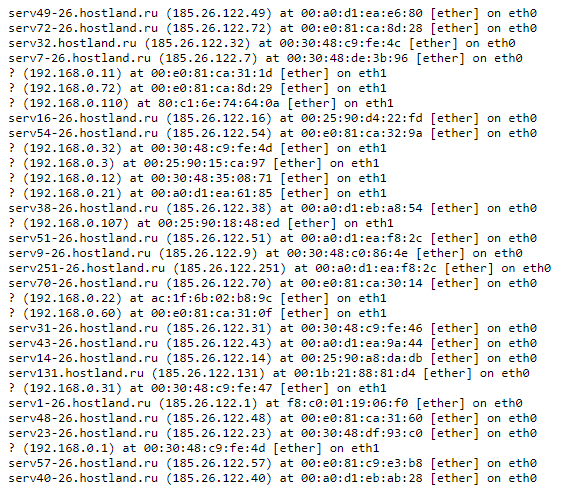 There are plenty of poorly configured hosting providers servers. It is unpleasant to know if you are not lucky with the shared hosting and your folder with your sites is a walk-through yard, in which everyone looks. I will show you some simple tricks how to find out how good or bad with the safety of your sites on hosting. Now open in the web browser address your_site.com/test.php. For the sake of fairness, I must say that although this server allows you to climb through its folders, it was not possible to compromise the server or user data in any way. The permissions to important files, as well as user folders, were set properly, i.e. access to site files and databases is not obtained. The previous PHP code is very simple, it does not do anything supernatural - we just open folders and files, and these files and folders permissions are set so that anyone can open them. You can continue to explore the inside of the hosting using PHP script, you can even throw in there Weevely or some of the webshells (if you choose this way, I recommend c99unlimited.php - classic!). However, I want to execute commands Bash it is more convenient for me, and we will need it soon anyway! As I said, many hosting provides provide SSH access, so you can use this option. However, I will show a universal way how to run Linux system commands directly through PHP - this is suitable for those who do not have SSH. If you see them, it means everything works! More precisely, what's inside the quotes. 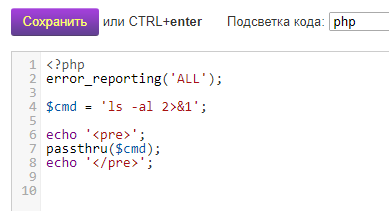 Here ping -c 4 ya.ru is the command that we sent for execution in the operating system. 2>&1 means redirecting errors to standard output - this is useful so that we can see the cause of the problem if the command does not work. You can also run Bash scripts on shared hosting. 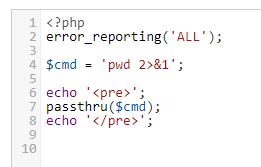 This is convenient for performing automated checks, also when running complex commands from a PHP script, we need to escape quotes properly, which is not very convenient and takes time. Now if we open the address site.com/test2.php in the web browser, then we will see the result of the test.sh script execution. To perform a hosting audit, you can use, for example, the LinEnum program. This program is designed to test multi-user systems for improper configuration and the possibility of increasing privileges. It is completely written on Bash. Therefore we can run it on a virtual hosting. The program consists of one single file and it does not require any dependencies. Download this file: https://raw.githubusercontent.com/rebootuser/LinEnum/master/LinEnum.sh and upload it to your hosting. Run with test2.php, specifying the correct path to the file, also use the -t option. When the script completes its work, a large report will be displayed. To understand the results of hosting checks, you need to have some understanding of the Linux operating system. 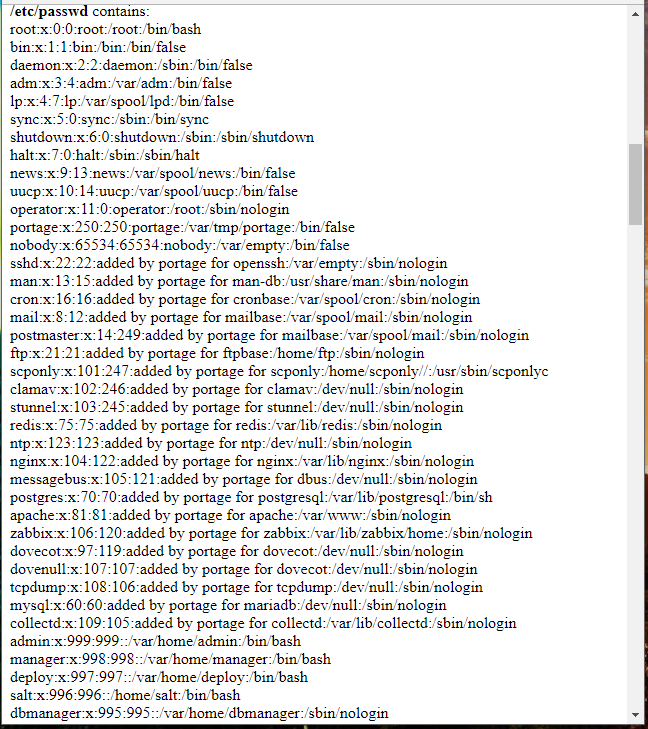 drwx------ 3 pentest2ru notcustomer  4096 Jul  9 07:01 .
drwx------ 5 pentest2ru notcustomer  4096 Jul  7 21:17 .. The first part (for example, drwx------) is information about permissions. Next (for example, pentest2ru) is a file owner, then (for example, notcustomer) is the name of the group. Then comes the date, time and file name. 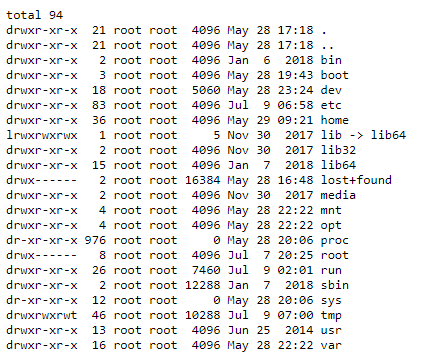 The very first character (d, l or -) indicates the type of file (in Linux everything is files). 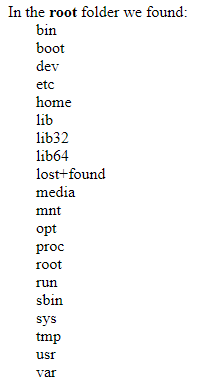 If this is d, then this is the directory (folder). 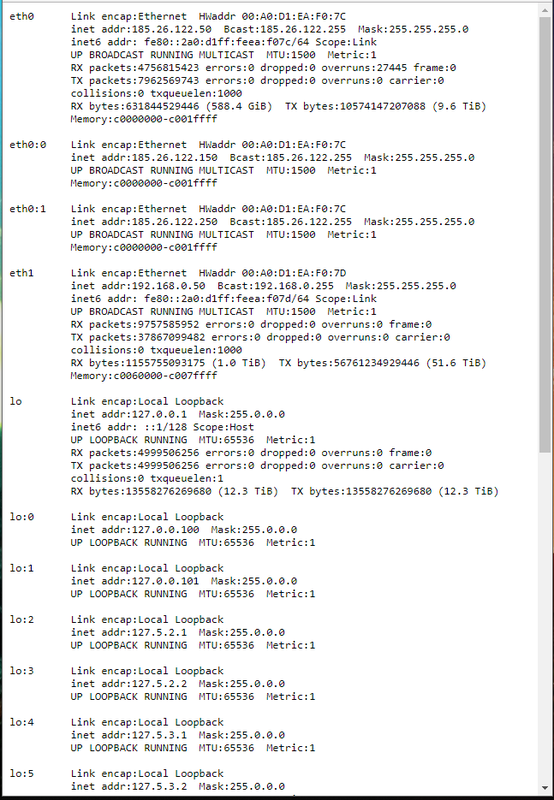 If this is l, then this is a symbolic link, and if it is - (a dash), then this is a normal file. Then there are nine characters. The first three show file permissions of the file owner, the next three are the group's permissions, and the last three are the permissions for everyone. The letter r means the permission to read, the letter w is write permission, the letter x is the permission to execute. A dash indicates the absence of this permission. The very first character (a dash) indicates that this is a normal file. Then the symbols rw- come. This shows the access rights of the file owner. In this case, the owner has the right to read the file and write it, but there is no right to execute it. The following three r-- characters mean that the group has read access to the file, but there are no rights to write it and execute it. The last three characters (same r--) mean the same rights (read permission, but no write and execute) for all. This line means that we face a directory (d), the next three characters (rwx) indicate that the owner can read and write this directory. The letter x for directories means the ability to enter it, for example, using the cd program. The following symbols (r-x) indicate that members of the group can read the contents and go to this folder, but cannot write anything into it. The last three characters (r-x) indicate that anyone can also read the contents of the folder and go into it, but cannot write anything down there. Especially if we are able to see the contents of the web site files (for example, the wp-config.php file, in which WordPress stores the MySQL cleartext password). This means hosting has very big problems in terms of ensuring the security of customers. Viewing other users’ files is not the only possible hosting problem. There are many different options for incorrect configuration, which can lead to server compromise. However, these are deeper questions that require an understanding of the Linux operating system, the differences between distributions, the features of the installed software, and so on. That is, it is impossible to consider all the options for incorrect server configuration in one article, further research depends on your preparedness. sudo -l 2>/dev/null | grep -w 'nmap|perl|'awk'|'find'|'bash'|'sh'|'man'|'more'|'less'|'vi'|'vim'|'nc'|'netcat'|python|ruby|lua|irb' | xargs -r ls -la 2>/dev/null Can the current user run any ‘interesting’ binaries as root and if so also display the binary permissions etc. sudo -V Sudo version – does an exploit exist?